When I teach workshops, there are certain stumbling blocks to smart social PR strategy that come up frequently. As the workshop facilitator, it’s my job to help participants understand how to overcome these challenges or, at the very least, find a way to deal with them that’s not quite as painful. Here are the seven most frequently asked questions in my social PR strategy workshops, and how I typically answer them. This is true. But this is true of life in general. As far as social media goes, that’s what smart tools like HootSuite, Buffer, PostPlanner, etc. are for. There are hundreds more useful tools than I can name here, though I do go into some depth in my workshops. For now, I’ll direct you to Ian Cleary’s most excellent tools directory. This is a resource to bookmark if ever there was one. Whoa, Nelly. Just because social media isn’t in your job description doesn’t mean you shouldn’t be keeping up with the times. Regardless of whether your work focuses on government relations, advocacy, member communications, media relations… social media is part of everyone’s job. Even if you are not directly charged with managing your organization’s social media properties, there is always a way social can support, supplement or complement your job. You just have to find it. I love when I hear this, because there’s a really important word flung in with all the rest; and that word is “engage.” And what we uncover, during the course of the workshop, is how to learn to engage without fear—regardless of who’s on the other end—because it’s only then that true engagement comes into play. It doesn’t matter if you’re using Twitter, or LinkedIn, or Facebook, or ______. The basic principles of engagement are the same. But it only works if you work it. And, by the way, “social PR” is not simply about pitching reporters via Twitter. So if that’s all you’re using Twitter for, you’re missing out. Once we establish that engagement is about a change in attitude, then we can start to change behavior. And the key to building engaged audiences (and keeping them that way) is really very simple: you listen, and you respond. Then they respond, and you listen. Then you respond, and then they respond. And so it goes. How you do this effectively gets us into the realm of tools, platforms, setting up listening dashboards, and so on. And while I truly believe there’s no one-size-fits-all solution, there’s always a way to openly and sincerely listen. And yes, it takes time. But it’s worth it. You only (or mostly) talk to them when you want something. In other words, you have a lot of followers, but no community. Strategic social PR isn’t just about using new channels to “get your message out.” That’s an extremely dead tree approach to PR in this day and age. What social PR excels at is putting community at the heart of public relations. Invest in your community, and you’ll be amazed at how much they do for you. Aha! That’s where you have to really blueprint your social PR strategy. Begin at the end, identifying what you’re trying to achieve. And work backwards from there. If you don’t do this at the get-go, it will be virtually impossible for you to set up an effective listening program (even if it’s very rudimentary), which will hold you back on the engagement front. If you haven’t already, download my new ebook before it goes behind the “sign up” curtain (tomorrow) -that will get you started. “More” is good… most of the time. But can you identify how more <whatever it is> is going to help you achieve results that make sense from a business point of view? Because if not, then you have to step back and figure out what you’re trying to do, and why it’s important. It can take a while to get to the bottom of those questions, but it’s really important not to give up. Because until you do, your efforts won’t be strategic, which is a shame. 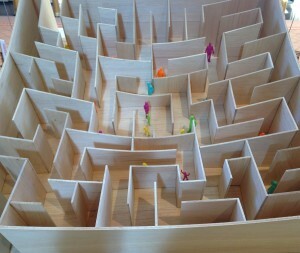 Because PR that isn’t strategic can be extremely tiring, and disheartening, and make you feel as if you’re walking through a never-ending maze. And why would anyone want to put themselves through that? I’m sure you come across – or have – other questions on social PR strategy. I’d love to know what they are, so do share via a comment below. President & Grand Poobah at Shonali Burke Consulting, Inc. 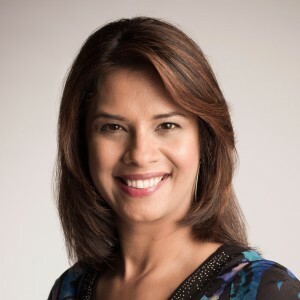 Founder and publisher of Waxing UnLyrical, Shonali Burke is President & CEO of Shonali Burke Consulting, Inc. Based in the Washington, D.C., area, she loves helping for- and non-profit clients, both small and large, turn corporate codswallop into community cool™. She also loves ABBA, bacon, cooking, dogs, and Elvis. Wouldn’t you like to be in her kitchen?